Do you have an Idea for a Device? The number of IoT devices entering the market is staggering, and growing every day. While being “first to market” or offering a brand new device is the goal of most developers, the advantage of entering the market now is the availability of PROVEN, ADAPTABLE devices that can be customized at a much lower cost. Here are some simple steps to help ensure your success when bringing a new IoT device to the AT&T Network. Define Your Basic IoT Device Requirements. How will your device be used? Does it require additional battery power? Will it need to work underground, or within a structure that could affect connectivity? What level of network security is needed? Review our Development Guidelines for a list of questions to consider as you enter the market. 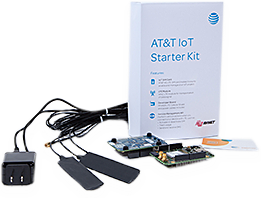 Quickly Develop Your Proof of Concept with the IoT Starter Kit. 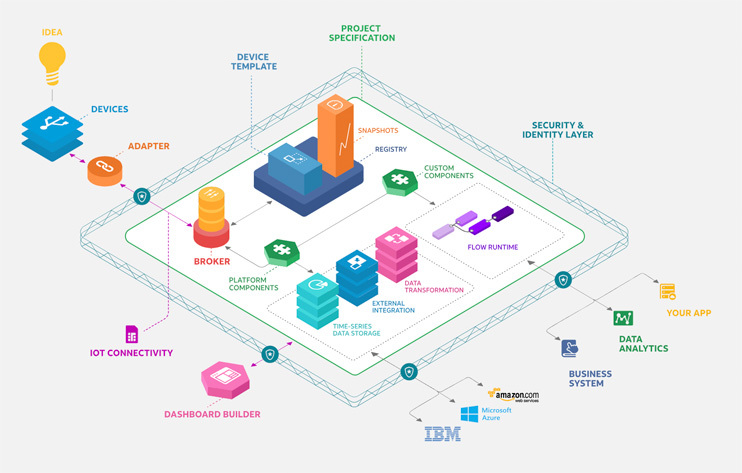 The IoT Starter Kit gives you access to tools and services that will enable you to prototype a new IoT solution very quickly. It includes a SIM card, modem, expandable development board, and an API to monitor the network connection and data transfer. In addition, AT&T’s M2X takes care of your storage, while FLOW Designer helps build and host IoT and M2M applications. Before committing to building your own device, look through our catalog NOW to see if a suitable solution already exists. Several of the devices listed are likely to meet your requirements — many may only require minimal time and effort to customize to your needs. You will typically save time and money and accelerate your development time if you start with an existing solution and following best practices. Can’t Find an Existing Device to Meet Your Requirements? a Socket or Device Modem to integrate. Failure to consider issues like these could necessitate hardware changes — causing increases in development costs and time. Reference the Cost Justification Chart below to consider your volumes, the costs and the complexity of Module and Chipset Designs. If you are planning to build your own device, AT&T and our proven partners can assist with component selection and design guidance. Once the design is complete, you will need to go through our process to Get Network Ready. The final step in the development process is testing and certification. Go to “Get Network Ready” to learn about the simple steps we provide to get your device certified. Get your IoT solution up and running in record time. AT&T’s DataFlow provides helpful tools for enterprise-grade IoT implementation. DataFlow takes care of everything from hardware connectivity to deployment in a quick and efficient way.